Why using a ROTOCAV hydrodynamic cavitator for the treatment of pigfeed? Mainly because the ROTOCAV hydrodynamic cavitator is able to increase the digestibility of the main components of the pigfeed. 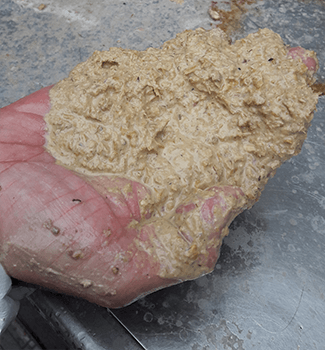 How the ROTOCAV cavitator can increase the digestibility of pigfeed? During the cavitational treatment with the ROTOCAV cavitator, the pigfeed is subjected to a synergic effect of cavitation, turbulence and shear stress. The ROTOCAV cavitator disintegrates the solid matrix and speeds up the biomass depolimerization process, promoting the break of molecular bonds and the hydrolysis of the macro-components (lignin, cellulose and hemicelluloses) into sugars, easily digestible and assimilable. Which are the other advantages of the ROTOCAV hydrodynamic cavitator for the treatment of pigfeed? The ROTOCAV hydrodynamic cavitator increases the homogeneity and the digestibility of pigfeed, optimizing the correct balancing of the daily ration to satisfy the physiological needs of the pigs. 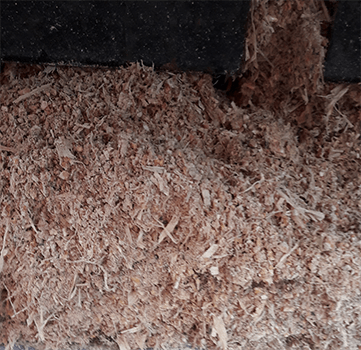 In other words, the ROTOCAV cavitator ensures the correct quantity of feed, from which depends the health of the pigs and the profitability of the farm. The cavitational treatment maximizes the exploitation of the raw materials, resources of the farm. The saving is due to the flexibility of the cavitator and the ability of the system to treat any types of raw materials (in terms of degree of ripeness too). What is the best installation of a ROTOCAV hydrodynamic cavitator for pigfeed application? The installation of the ROTOCAV cavitator for pigfeed application is easy and fast. CaviMax provides "plug & play" plants to be easily incorporated in existing plants.